The following changes are being proposed by Don Jones and Jane Boden. Together with the changes to the Management Group they represent the culmination of a working group who have been tasked with reviewing current rules and objectives. Whether it’s Divine Service or Church Services I think is irrelevant, I’m happy with either and as Andrew said the latter is less formal. If providing an organisation that aims to assist with training, recruitment, maintenance of the bells and a network of people willing to assist when asked is not supporting, then I’m not sure what is! 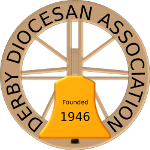 The DDA has no ability to support bands to ring for church services – on the other hand it can promote ringing for Divine Service. Surely for something as fundamental as changing the Association Objectives there should be widespread consultation with the membership to be followed by voting by the membership in a manner which is likely to give the maximum participation in the vote. Without a proper mandate from a majority of the membership to implement these changes, to proceed to do so in it’s absence could establish a dangerous precedent. On a point of detail. why would the DDA not wish to promote ringing for Divine Service? As one of the members of the working group (and responsible for the final wording) we tried to state concisely (although I’m not 100% happy with objective 4 – its too long) what the Association currently does. Regarding objective 1, we felt that supporting bands to ring for church services was less formal, and more inclusive than the original – and it is still the first objective?